While I'm off sailing the seven seas (okay, maybe just one), I thought it would be a fun idea to run a little contest. 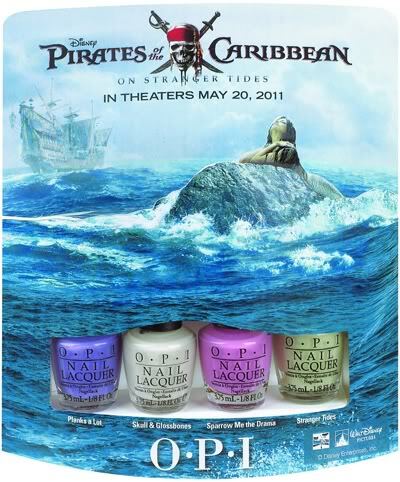 One winner will receive a very appropriate prize: a mini set of the OPI Pirates of the Caribbean collection. All you have to do is create your best New Years-themed manicure! To enter, you can email me a picture of your nails at PrincessPolishBlog@gmail.com. 2) This contest ends at 11:59pm EST on December 31st. 3) This contest is open to residents of the US only. 4) All winners must be 18+.